Skills development contributes 20 points to the scorecard. •Another 4 points can be received if you spend 0.3% of your total payroll on learning programmes for disabled, black employees. •By participating in learnerships, you can claim 4 points if 2.5% of your staff is enrolled on such programmes and another 4 points if 2.5% of your company’s headcount are black unemployed learners. •You earn an additional 5 bonus points if all your unemployed learners will be gainfully employed at the end of the learnership. • You can now also claim for training costs of people that are not employed by your company. • Learnerships, apprenticeships and internships are a great way to boost your training spend, as you can count the salaries of the learners as a training expenditure. • Learnerships for the disabled allow you to score in all the three areas at the same time. 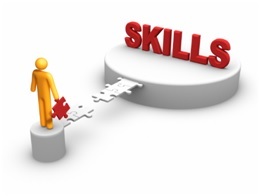 • Skills development spending can be counted in two elements at the same time, i.e. it can be both part of supplier and enterprise development. • The cost for your Skills Development Facilitator can be claimed as a training expense. • Only 15% of your training spend can consist of internal training that is not accredited. In other words most of your training will have to be unit standard aligned. • Only 15% of your training claim can be for expenses such as travelling, catering or venue hire. • SETA grants such as the mandatory, pivotal and discretionary grants can help you to fund your training programmes. • SARS offers a tax break of R 60 000.00 per participants on a learnership, which equals a saving of R 16 800.00 per learner per year. • SARS also allows you to deduct R 1 000.00 per young person per month that you employ, which equals an annual saving of R 12 000.00. Terms and conditions apply. • You can also benefit from substantial salary savings as previously unemployed learners only need to be paid an allowance instead of the normal salary. Depending on the position under consideration, you can save up to R 2,000 per month per person on a learnership. • All of the above amounts a rough saving of approximately R50 000 per participant on a learnership. As you can see from the above BBBEE points AND Tax Rebates, there are plenty of incentives available for you to boost your skills development score and cash in on Tax benefits. Many thanks. Please follow our Facebook page too for more information on articles. Next Next post: What is absent or absenteeism in the Workplace?